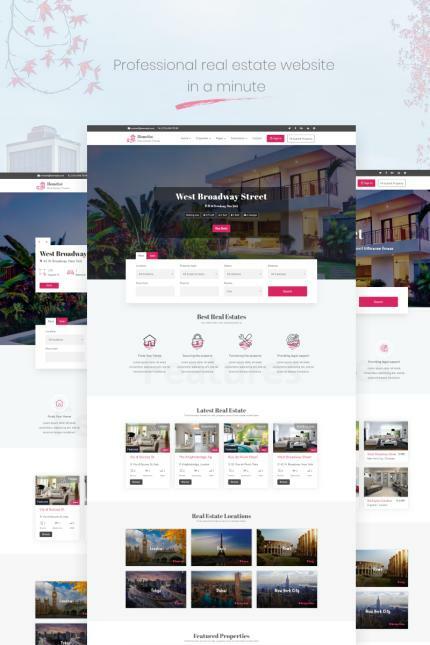 Homelist is a professional WordPress theme for real estate businesses, real estate agencies, agents and property owners. If you want to sell properties or provide rental services, Homelist is the right choice for you. We take care all needs for real estate agents, agencies and companies. With easy-to-use front-end and powerful backend features the theme will make your property management business easier. It comes with the four stunning homepages and a rich user interface kit that contains a wide variety of website elements carefully designed and coded. Are you looking for a complete solution for your real estate business? Let’s discover Homelist now! The theme is now more colorful with different color options. * Fixed map marker and marker info popup. * Full compatibility with PHP 7 and WordPress 5 and above. * Listing counter added to locations. * Performance was increased to 15%. The theme achieved a 95% performance score. * Theme tested with "Theme Check" plugin and w3 validator and has error free. * Added the slide into the property boxes and css animation was done. * New topics and videos have been added to the theme document. * Added map to home page. * Some map errors have been fixed.